RGB color change Round LED Wall Washer with High Power Epistar LEDs. Controllable VIA DMX or choice of preset color changing modes. 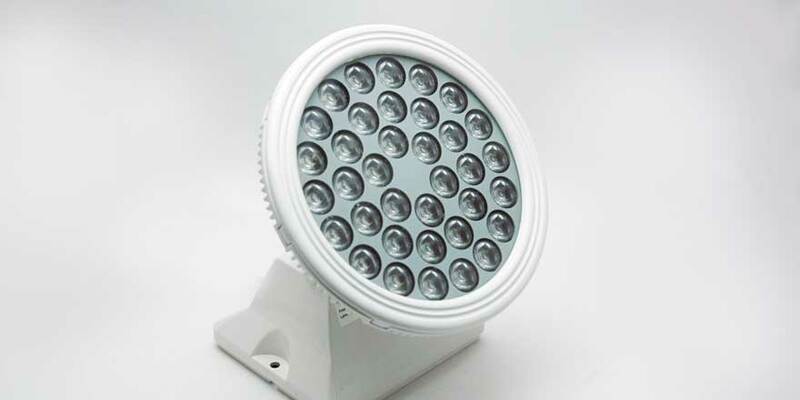 Use for lighting outside building perimeters, casinos, feature walls, bridges, shopping centers , theme parks, entertainment plazas and other architectural building lighting requirements! 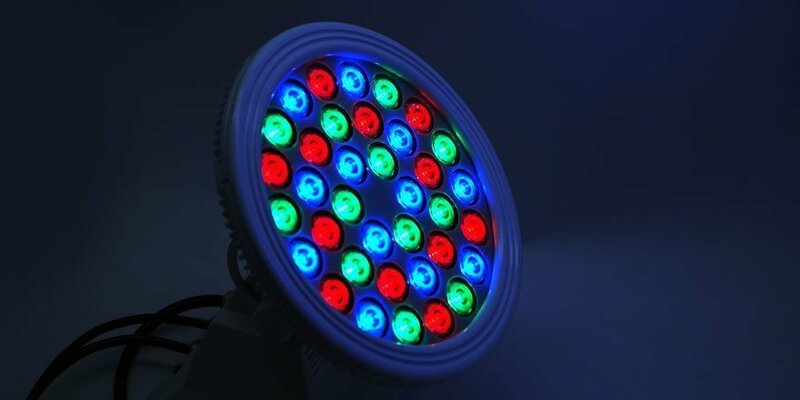 The high-powered Red, Green and Blue LED Lens to produce even and consistence color effects. The LWW-6B-36P RGB Round Wall Washers features Angle adjustable mounting brackets with the 30 degrees lens for accurate color and washes on building walls. 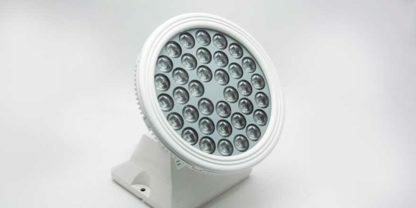 LWW-6B-36P RGB Round Wall Washers allows three ways to control color changing: Independent Mode, DMX Mode and Master/Slave Mode. 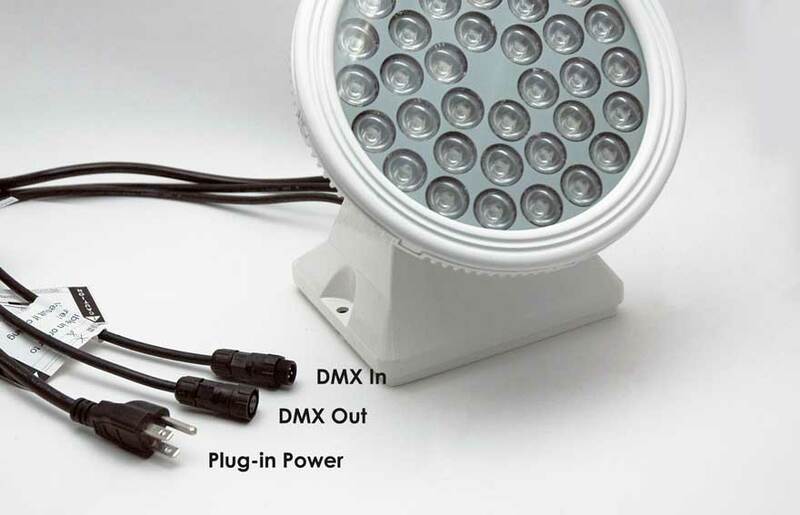 Independent Mode allows to choose pre-programmed lighting effects; while under DMX Mode Wall washer will be compatible with any standard DMX512 console to meet requirements from lighting designers. Master/Slave mode allows auto online and synchronization working. Use the optional HUEDA™ or STICK-D3 controller to control the RGB LED Wall Washers VIA software and smart phone app. 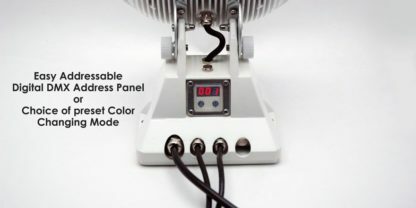 Wireless DMX 3-pin XLR Male connector- Transceiver. LC-512x-M works with LC-840-DMX and transmits signal to LC-512x-F.
Wireless DMX 3-pin XLR Female connector- Receiver. 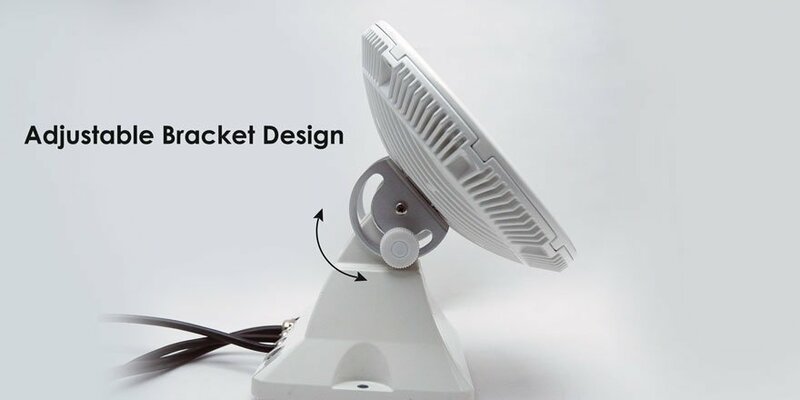 LC-512x-F works with LC-840 and receives signal from LC-512x-M. The third generation STICK with an Integrated color display. It is compatible with all Nicolaudie computer software and mobile apps.